2018 has been an incredible year in the wedding space! From the various weddings that had social media buzzing to our favourite actors to football stars, entrepreneurs, chefs and more tying the knot. What a year! Did we mention the weddings and engagement that completely took us by surprise and had us awwing all through ?? Just so beautiful! 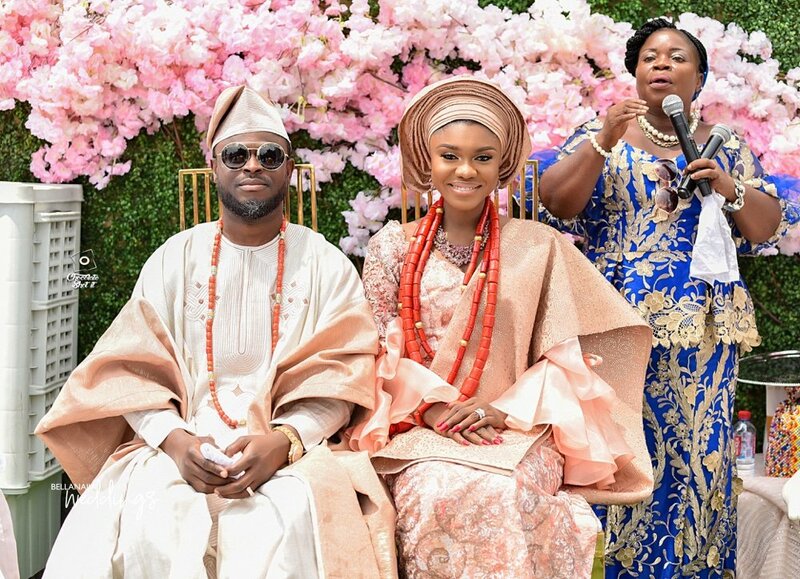 We present to you the 15 celebrity weddings of 2018 we will not forget in a hurry. P:S- This list is in alphabetical order and in no way created as a ranking list. In Ghana, popular singer Becca went beyond borders and found love with a Nigerian man. 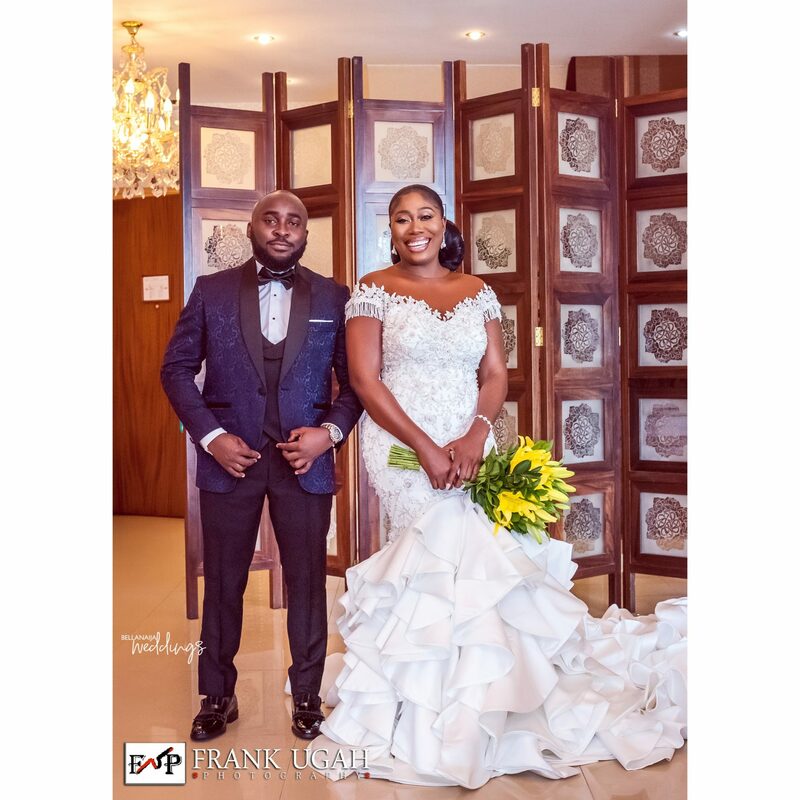 She got married to her beau, Tobi, a talent manager on August 18th. You know what to expect when it is a Ghanaian-Nigerian party yeah! Plenty of fun and of course, plenty jollof. In August this year, the families of Veteran actors Olu and Ajoke Silva Jacobs went south to claim their son’s, queen. So for this month, we had the Kalabari-Yoruba wedding celebration of Boma and Soji just before their white wedding that held at This Present House. Oh yeah, their wedding vows got us pretty emotional too. 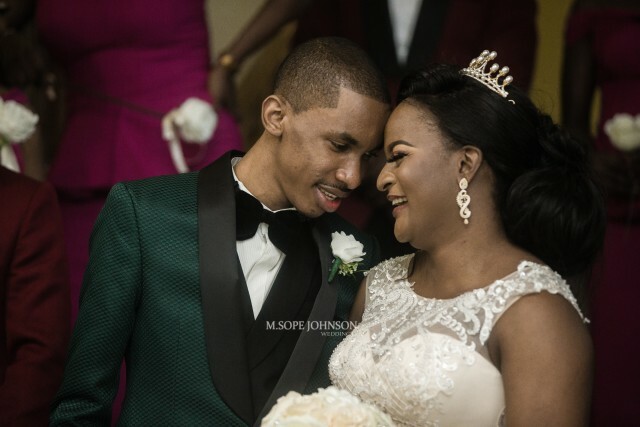 Popular Disc jockey DJ consequence stepped out of bachelorhood and walked into the married life with his heartthrob Olayemisi Williams earlier. I mean, what do you expect when DJ ties the knot, a lit party and it definitely. Even their hashtag #TheVibesWedding18 says it all. 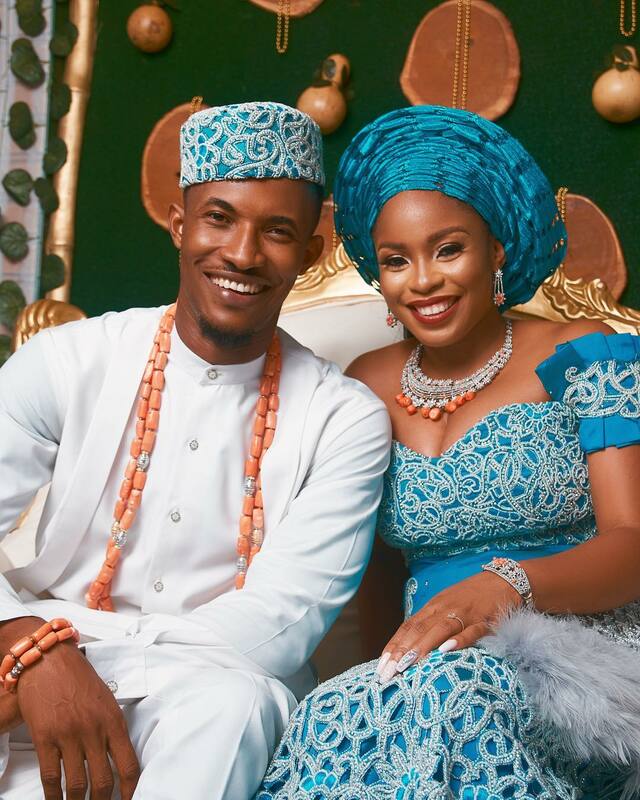 We were all taken by surprise when we found out that the award-winning On-air personality Gbemi was tying the knot. Their wedding ceremony was a major one this year with all of our favourite celebrities coming out to support their own. Oh, remember the lit all-white greatest showman themed party and code blue traditional engagement, yup all that happened this year. Oh yeah, when Gideon Okereke put the beautiful pre-wedding pictures of he and his bride alongside a cute love note that had us all smiling. The couple tied the knot just a few days back traditionally and just as their hashtag says it was a festival of love. It is a football and beauty love story. 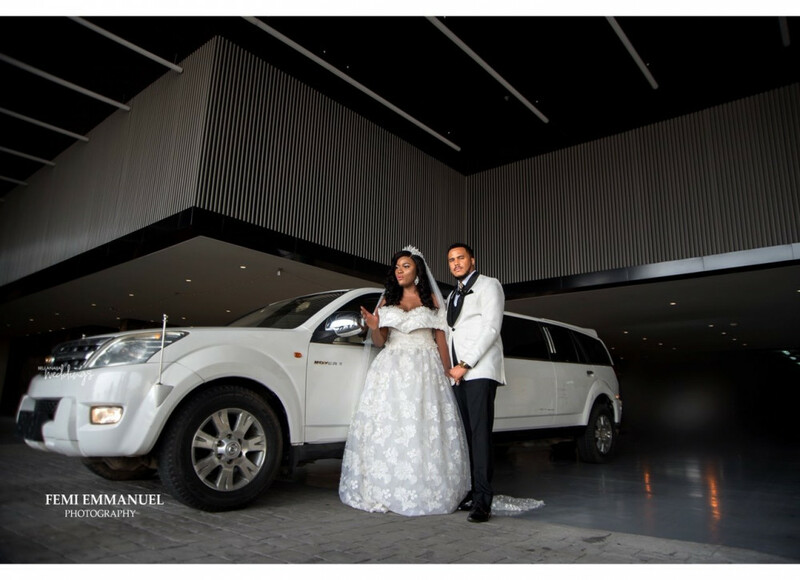 Most Beautiful Girl Nigeria 2014 and Supereagles striker tied the knot in May this year. It was all your favourite footballers all in one place to celebrate this beautiful couple. Umm, one of Ghollywood’s finest actors totally said goodbye to the single life this year. He embraced his bride Gift and together they began their life together as man and wife. Let’s just John Dumelo truly got himself a big gift this year. Did you catch that? 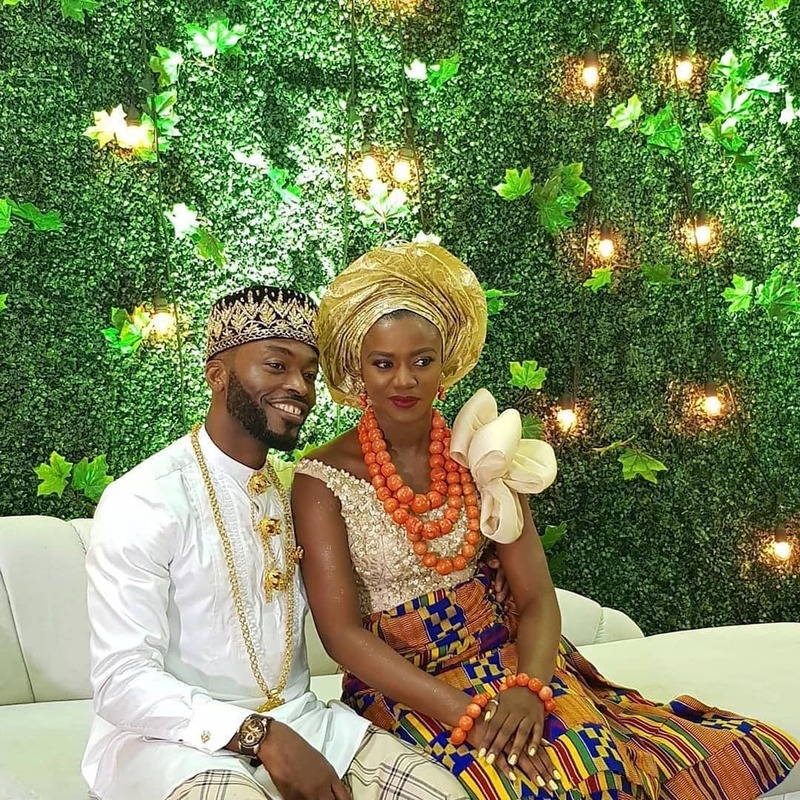 It was a beautiful Sunday morning, when the world woke up to the announcement of their union, as they released their official pre-wedding pictures and had their traditional ceremony later that day. A few days later, we were completely blown away with the outdoor wedding ceremony and the sweetest moments from the ceremony. Lest I forget their all-time unique hashtag #Àṣéwẹ́rẹ́niṣẹ́Olúwa that had lots of people trying to unravel its meaning. 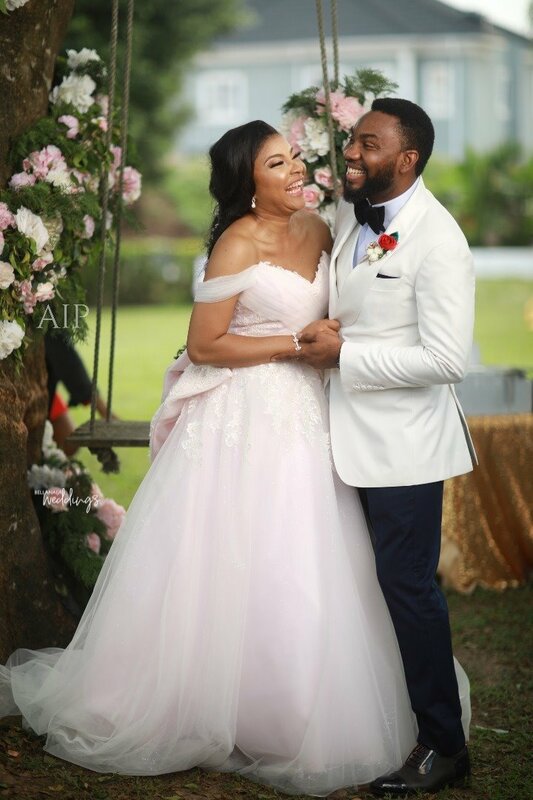 We certainly can’t forget the heartwarming union of these Nollywood actors who brought their on-screen love to reality this year. 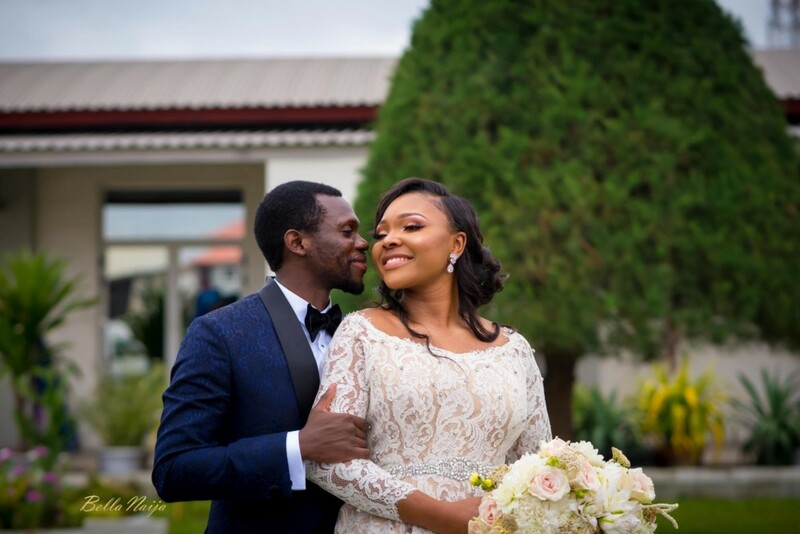 Linda Ejiofor and Ibrahim Suleiman had us all happy with beautiful moments from the ceremony. Remember, how Adesua sang as Linda walked down the aisle, then the groom’s priceless reaction when it was time to unveil and kiss his bride. Let’s just say the #ISqaured18 ceremony was pretty epic. Another Nollywood actor officially left the single days behind this year. 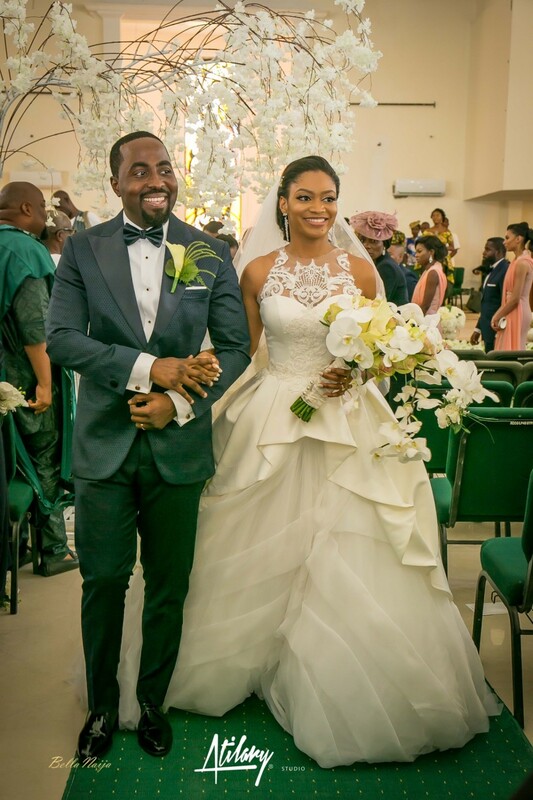 Actor Michael Okon embraced the married life with his babe and sweet love Kosi Obialor. Just as expected, Nollywood was well represented at the wedding. 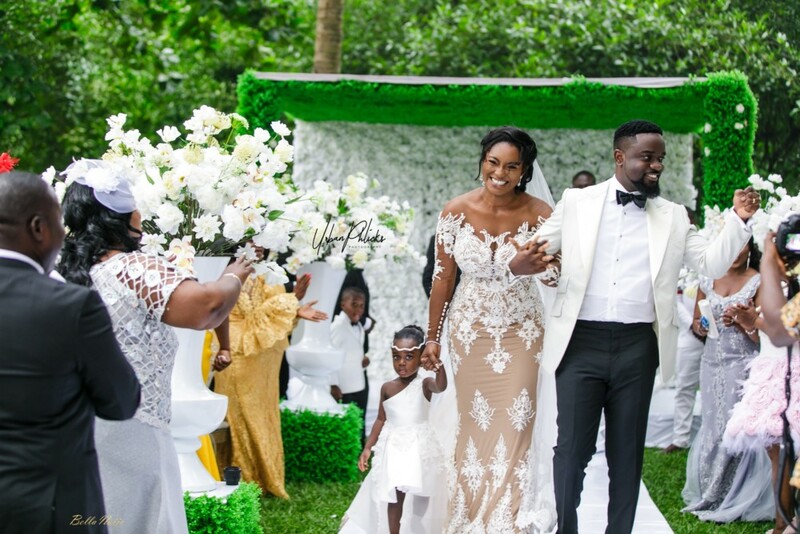 In July of 2018, all roads led to Accra, Ghana for the wedding ceremony of the rapper Sarkodie and his beautiful wife, Tracy. From white ceremony to traditional and the after-party, it was a hit. Remember that few weeks after his wedding, the rapper released a new video for one of his songs in honour of his bride. Umm, this love. Did you guess the name, Derin Phillip? 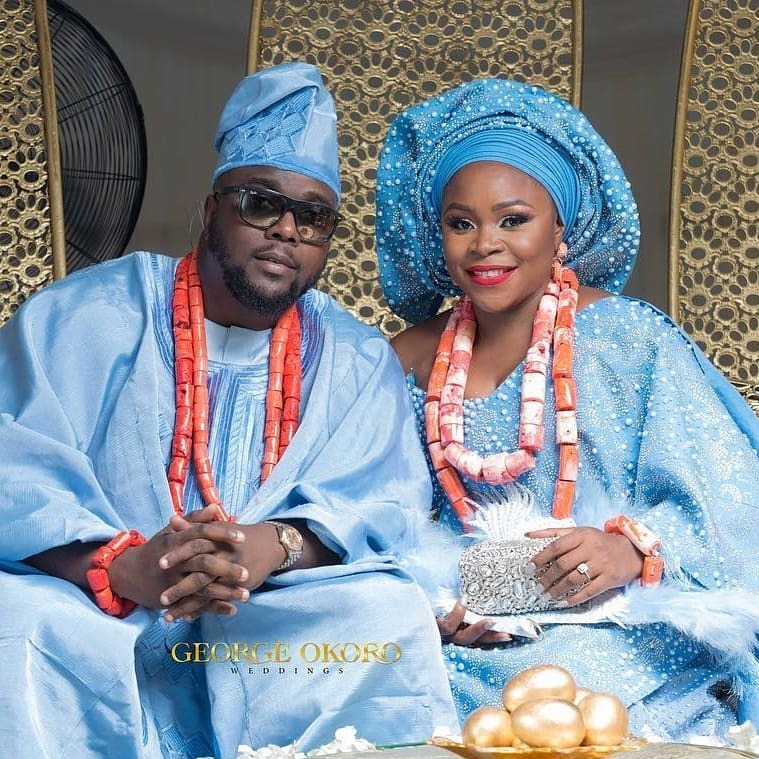 Not quite sure, he is popularly known as DJ Caise, tied the knot in April this year to Xerona Duke. 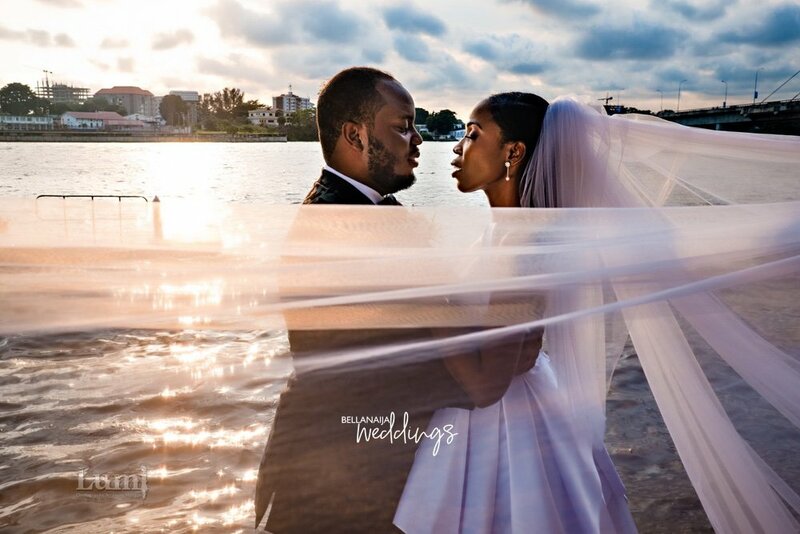 When it came to their traditional wedding, it was a full-blown display of love and culture in Calabar. Yup and it was truly epic. Let’s just say we wrapped up the year with this sweet beautiful surprise from celebrity stylist Yolanda Okereke and TV actor Karibi Fubara. 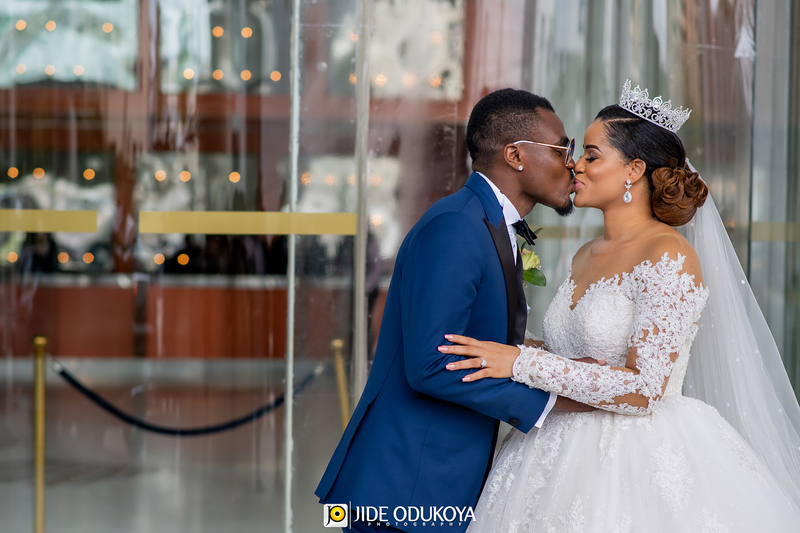 On the last Saturday of the year, we were all blessed with this surprise and of course, we enjoyed all the sweet moments from their traditional wedding. 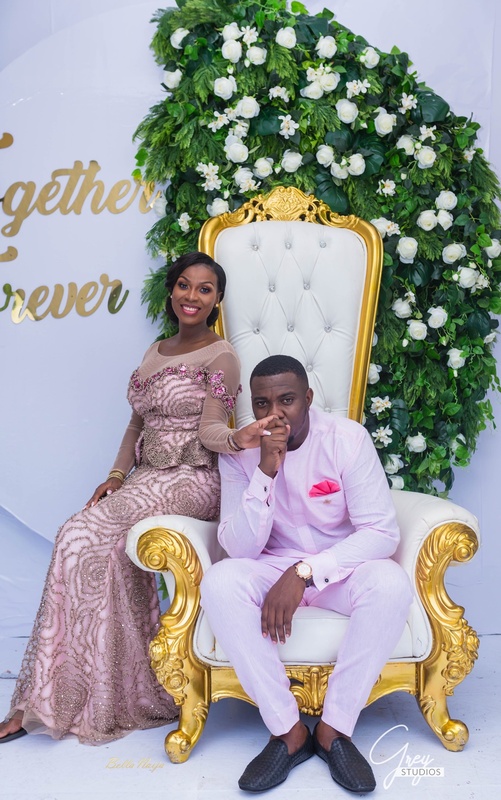 When one of our favourite Media personalities and movie star traditionally tied the knot to her groom in May this year, we were all filled with joy. Zainab Balogun also stepped into forever love land with her man this year. Sure you would agree that 2018 was the year for celebrity weddings. Years to come we will remember all these weddings.